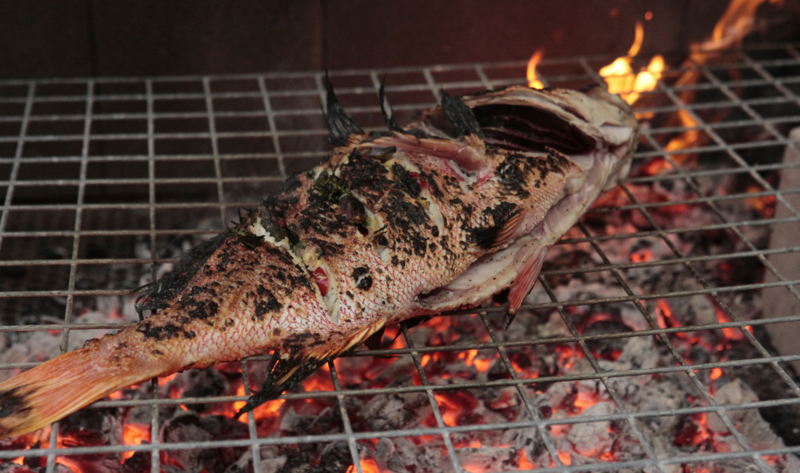 Using a very sharp knife, thinly slice the snapper fillet against the grain into 5 mm- thick slices and refrigerate until ready to serve. Combine all the dressing ingredients in a bowl. Open up the finger limes and carefully squeeze out the jewels inside. 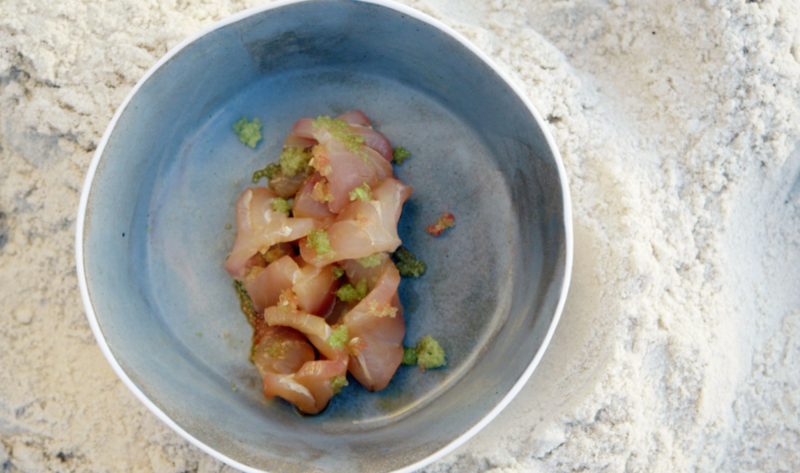 Just before serving, toss the sliced fish in the dressing, then divide among plates and top with the finger lime jewels.